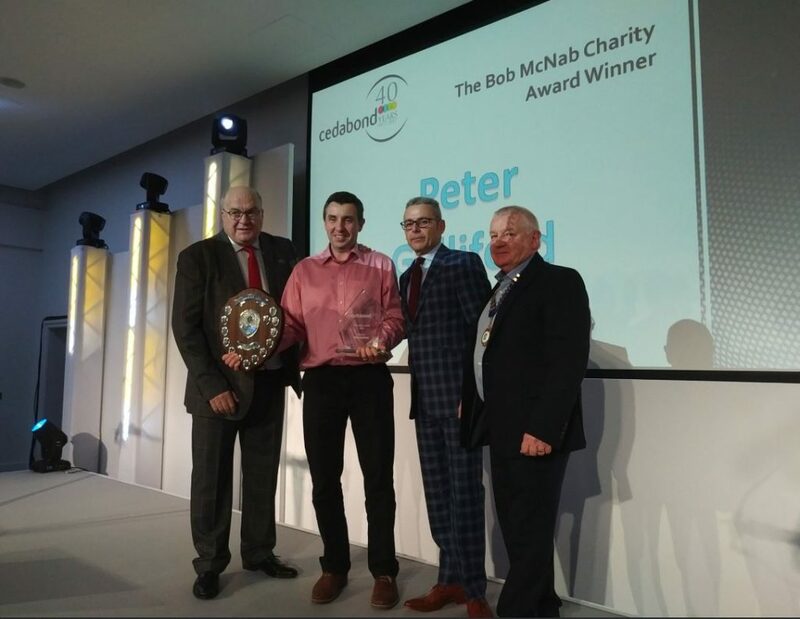 We are proud to report that Mechline’s Peter Galliford has been presented with the Bob McNab Award at the Cedabond Awards, for his outstanding contribution to charity. In 2018 Peter took on the notoriously tough John O’Groats to Land’s End cycle trek in memory of his brother and friends, to raise awareness and important funds for two wonderful charities – Macmillan and the Paul Strickland Scanner Centre in London. In doing so, he raised over £10,000 for these great causes.